“The Tube is full of strangers. We acknowledge this fact, knowing that we too are strangers to others. My project is to photograph a stranger. 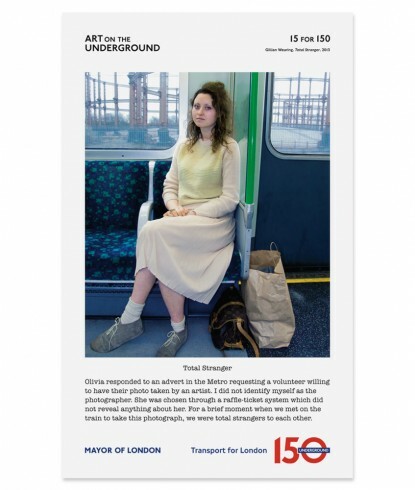 The person came forward via an open call advertised in the Metro newspaper and on the TfL website. I chose them through a raffle­ticket system, which did not reveal their name, age or gender. Until we met on a train and I took her photograph, I still didn’t know her identity, and she didn’t know who I was either. For a brief moment, we were total strangers to each other.